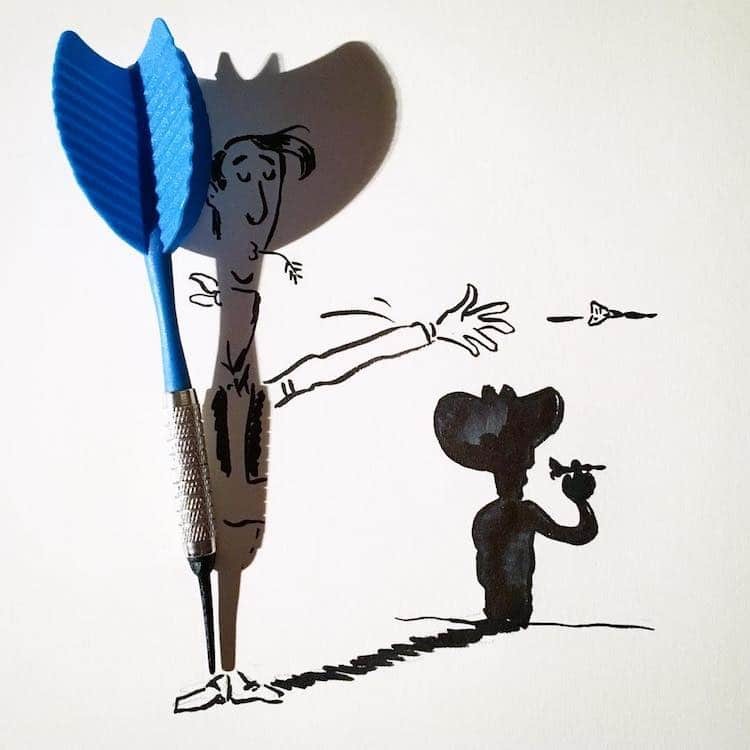 Making shadow puppets on a wall is a childhood game we’re all familiar with, but Belgian filmmaker and artist Vincent Bal turns it into an art form. 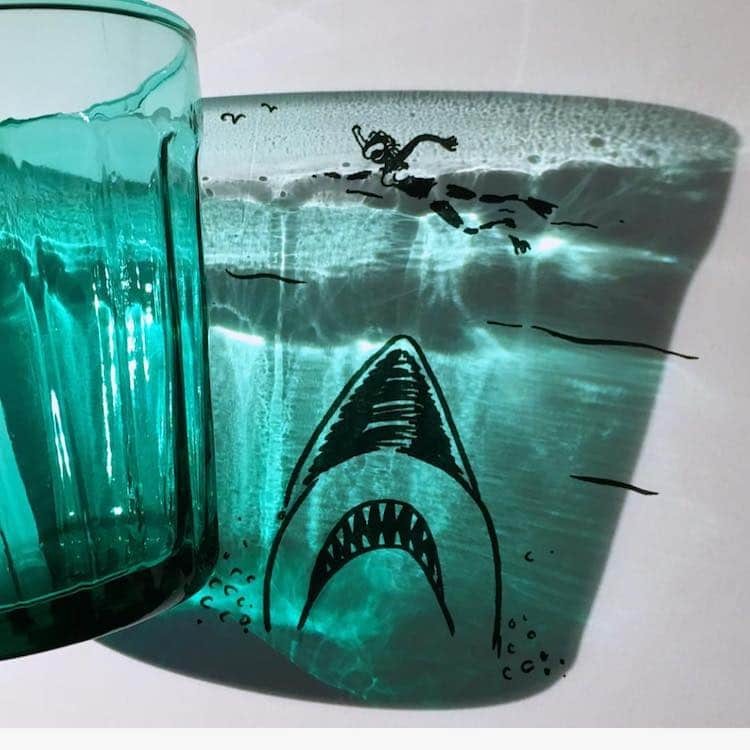 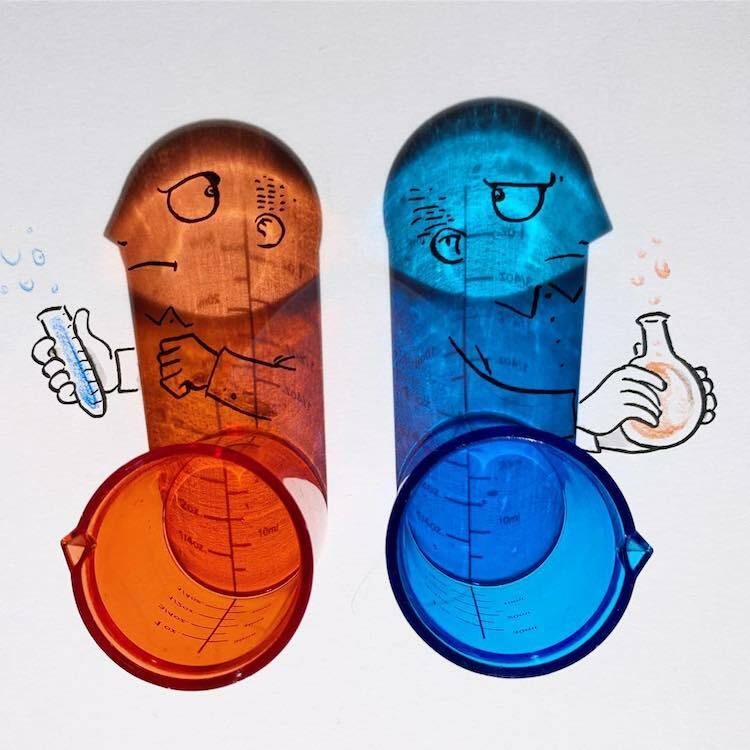 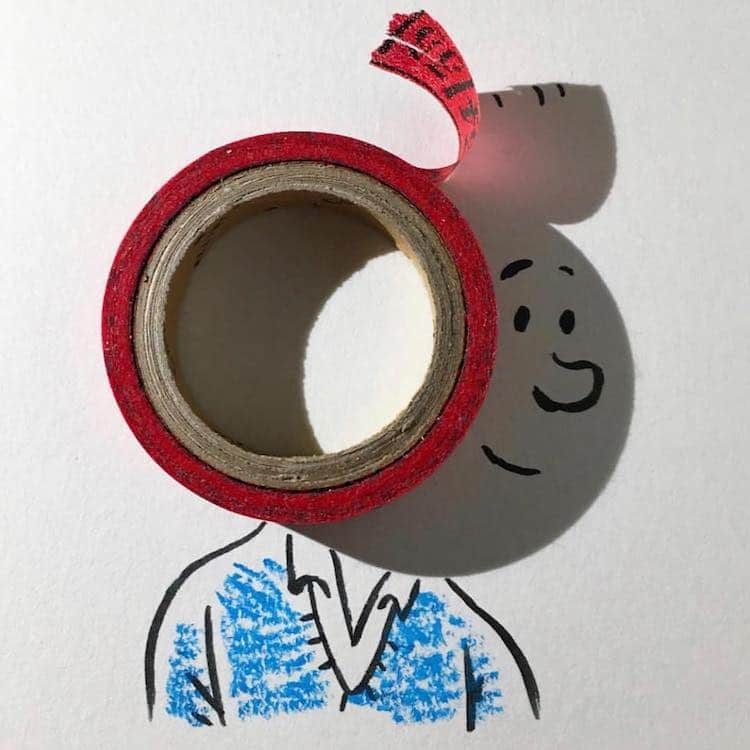 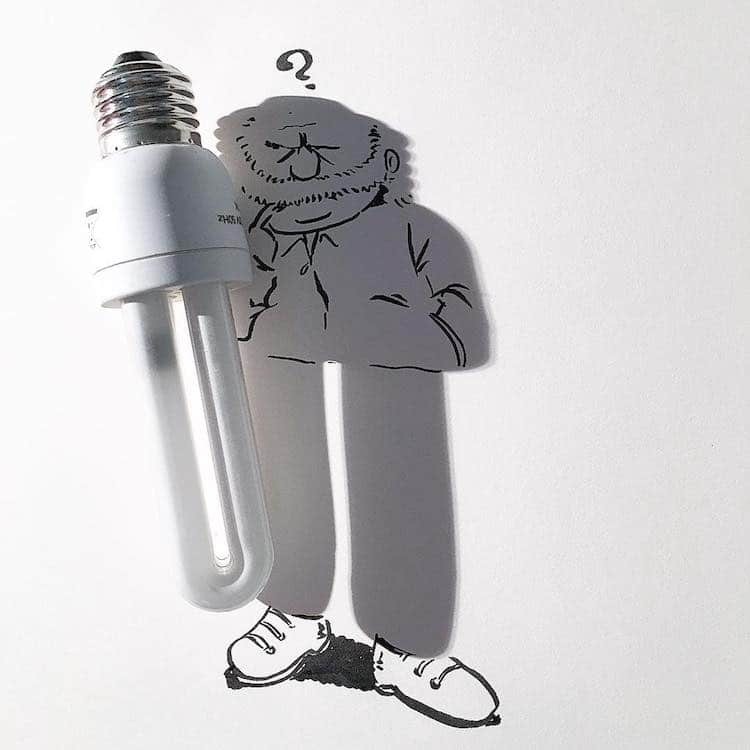 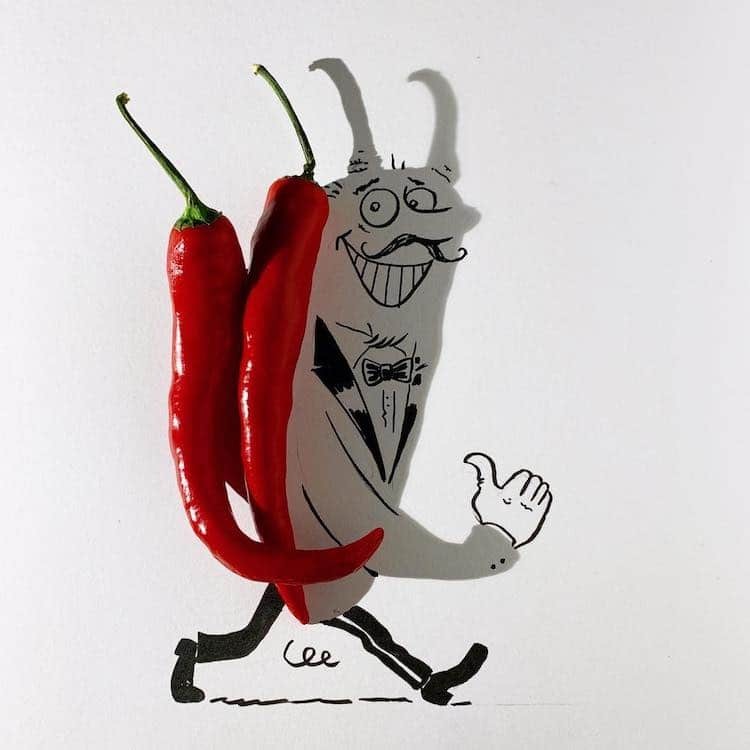 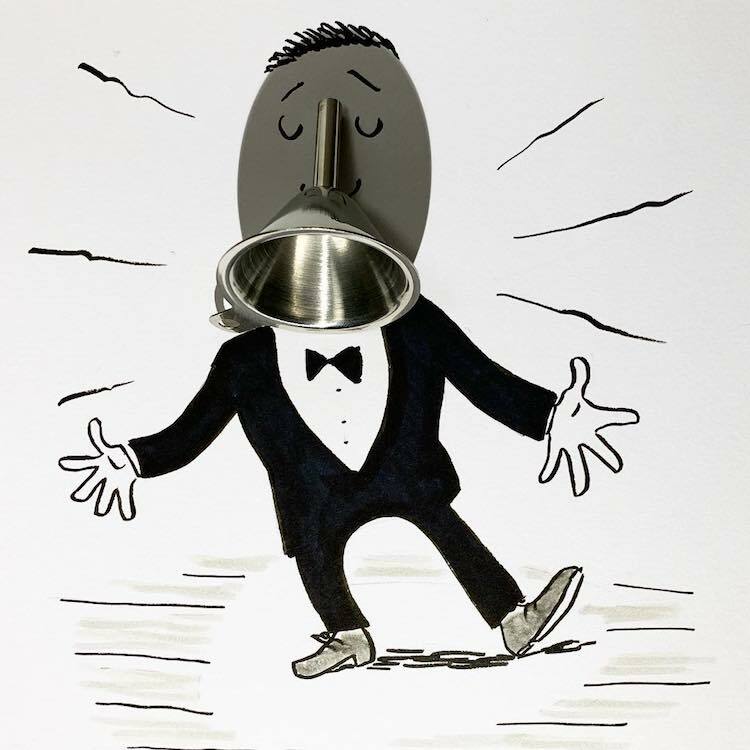 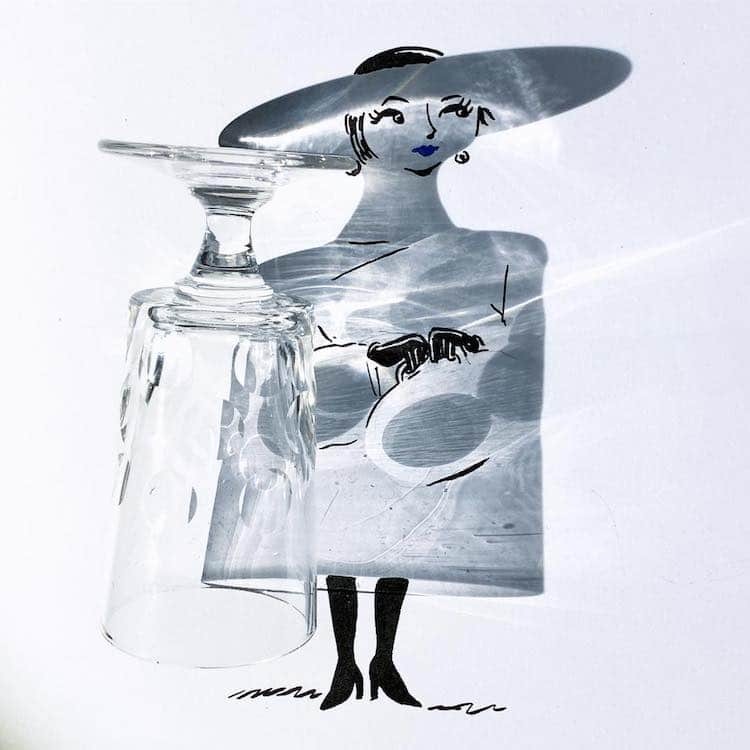 His playful shadow art illustrations are made by combining shadows cast from everyday objects with hand-drawn doodles to create a variety of charming characters. 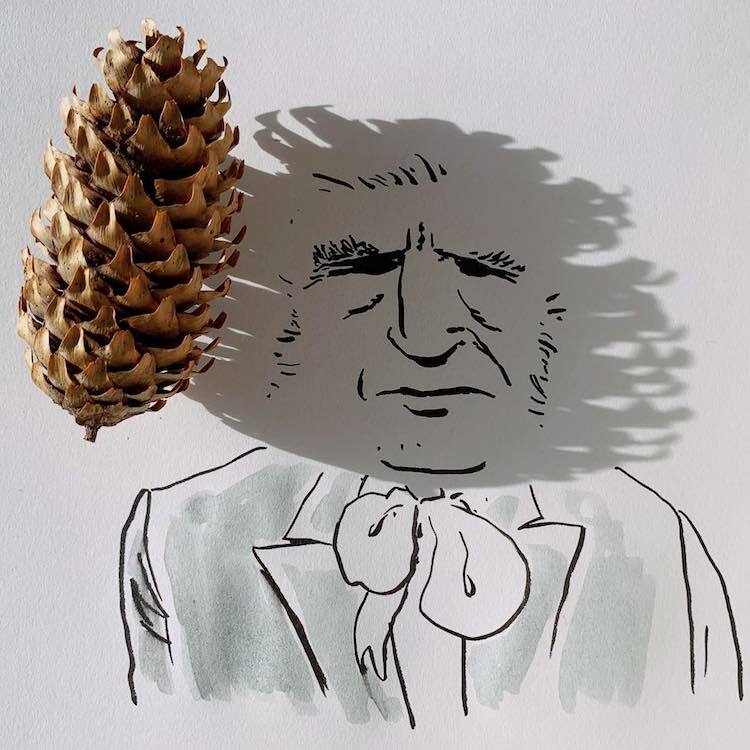 Bal began his ongoing “Shadowology” series in May 2016 when was working on a film script. 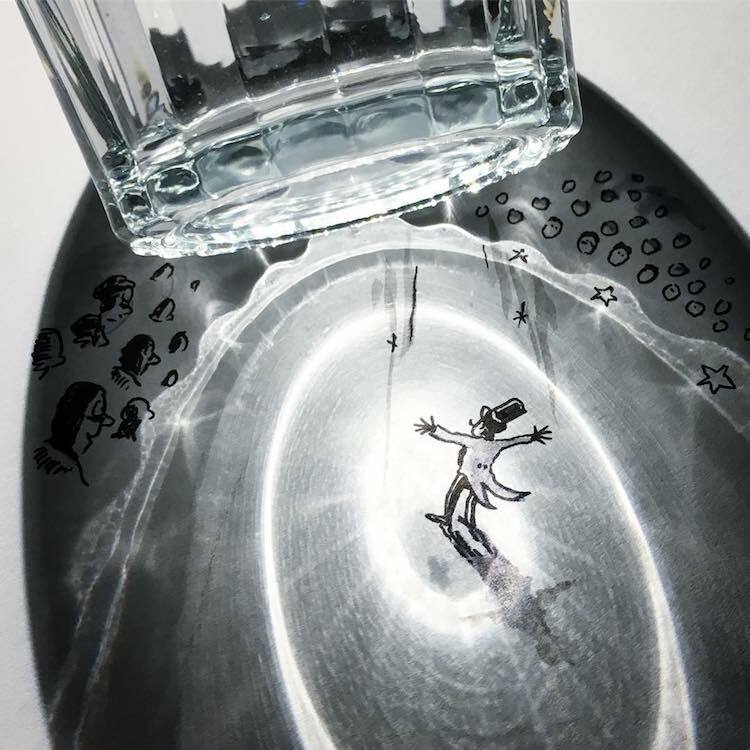 While sitting at his desk, he suddenly noticed how the shadow of a teacup looked like a little elephant, so he completed the image with a few pen lines. 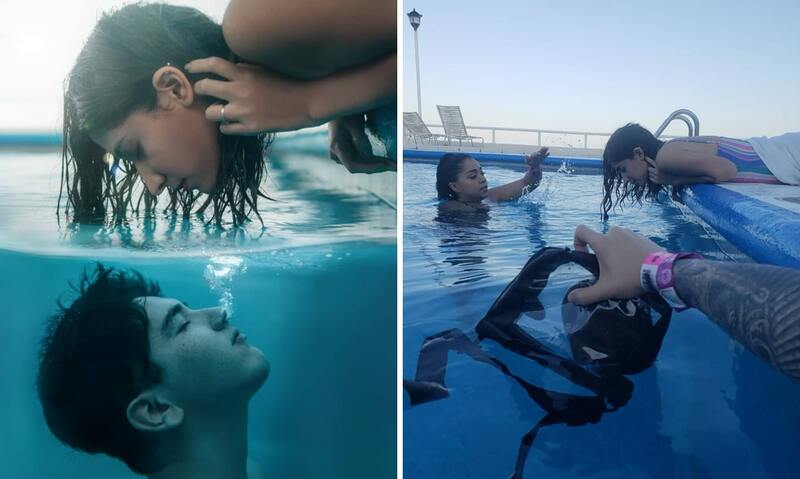 He took a picture and shared it on Instagram. 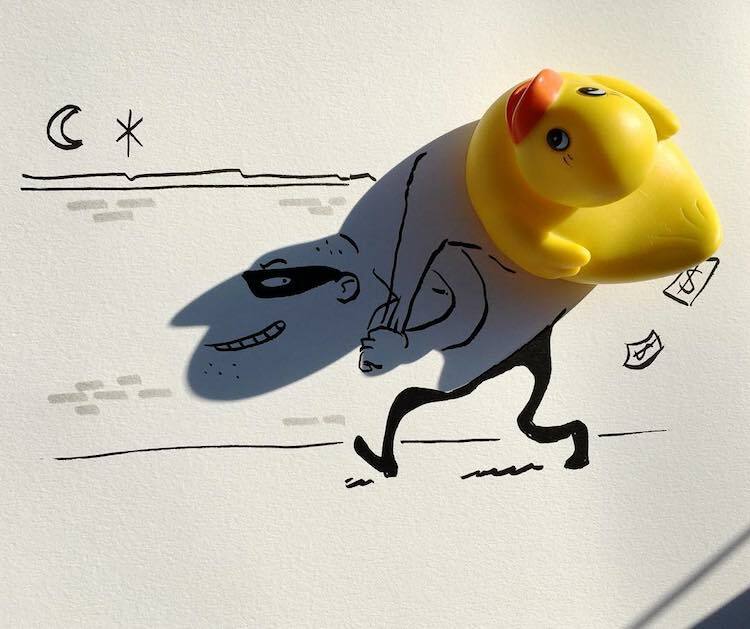 The reaction from his followers was so positive that he challenged himself to make a shadow doodle every day, and he hasn’t stopped since. 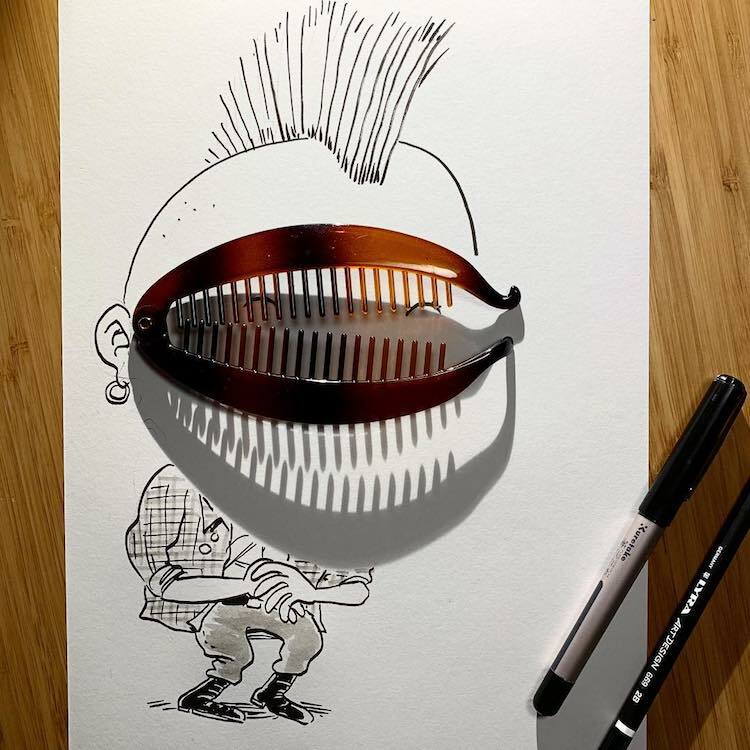 Since then, Bal has amassed more than 600,000 Instagram followers and it’s clear to see why. 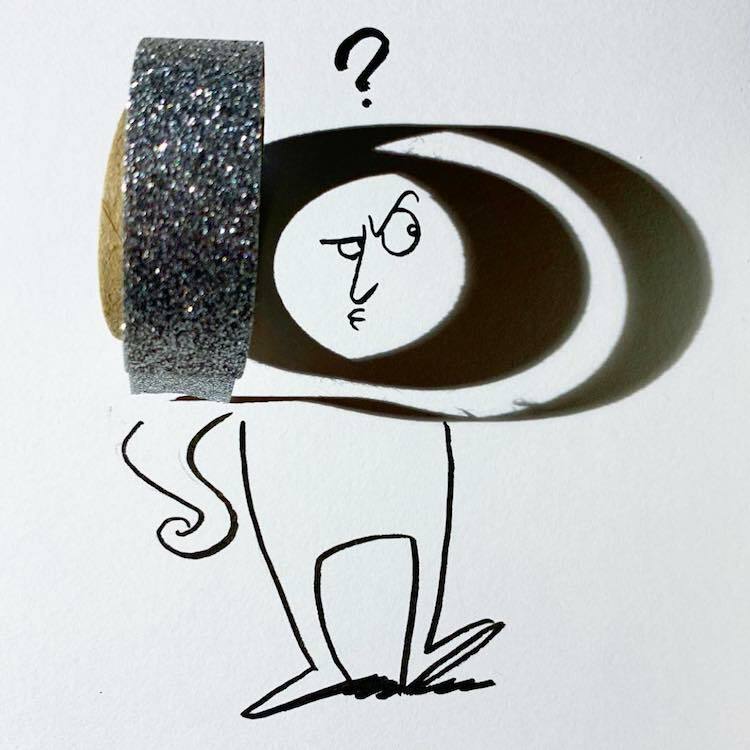 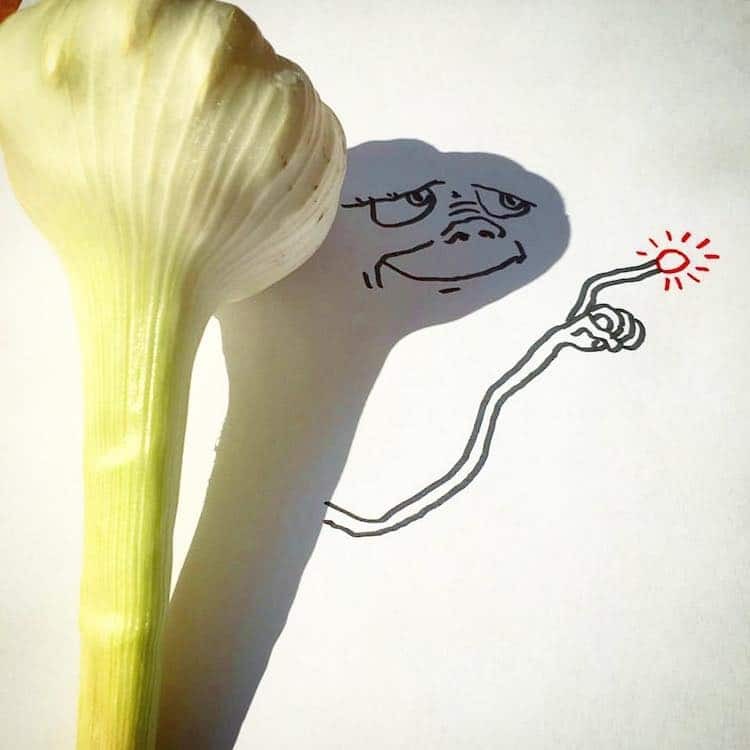 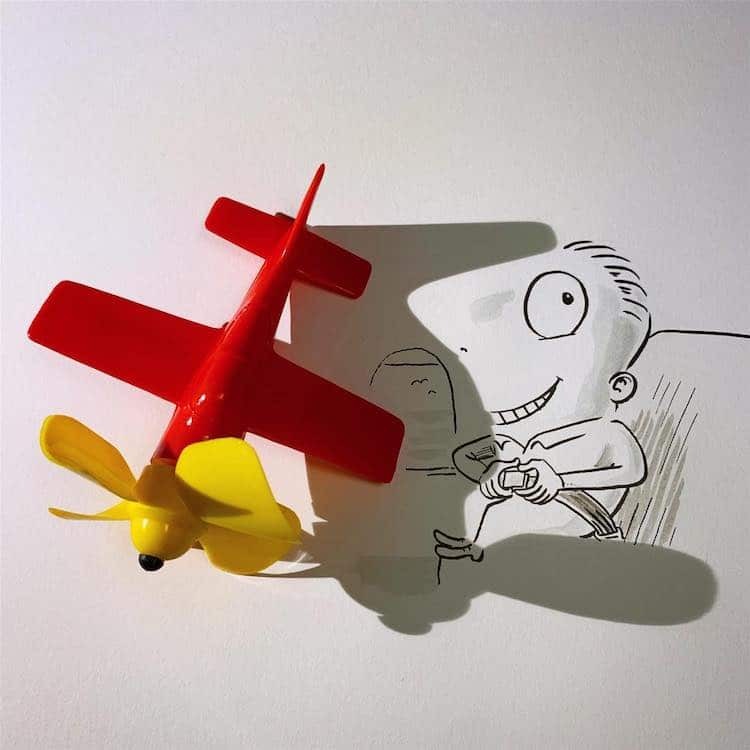 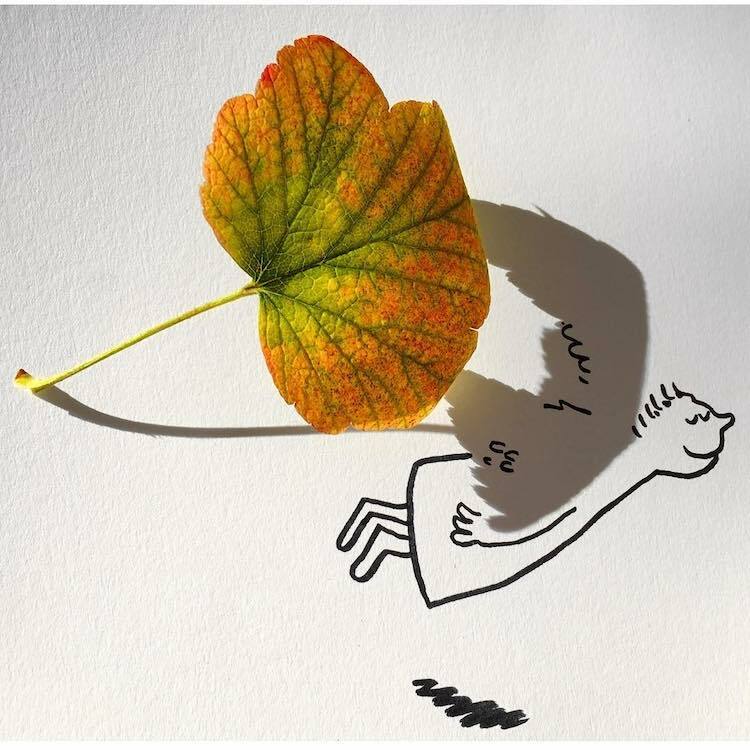 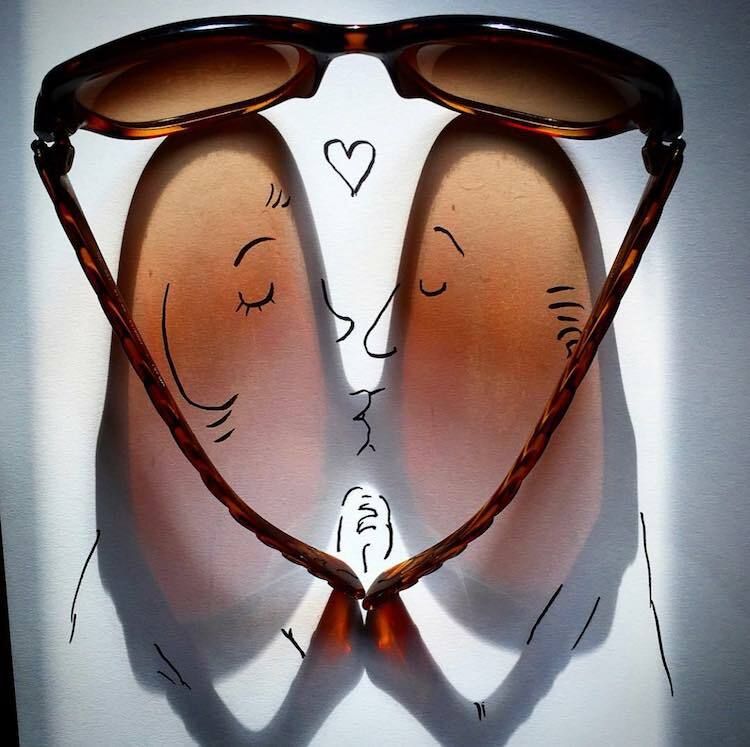 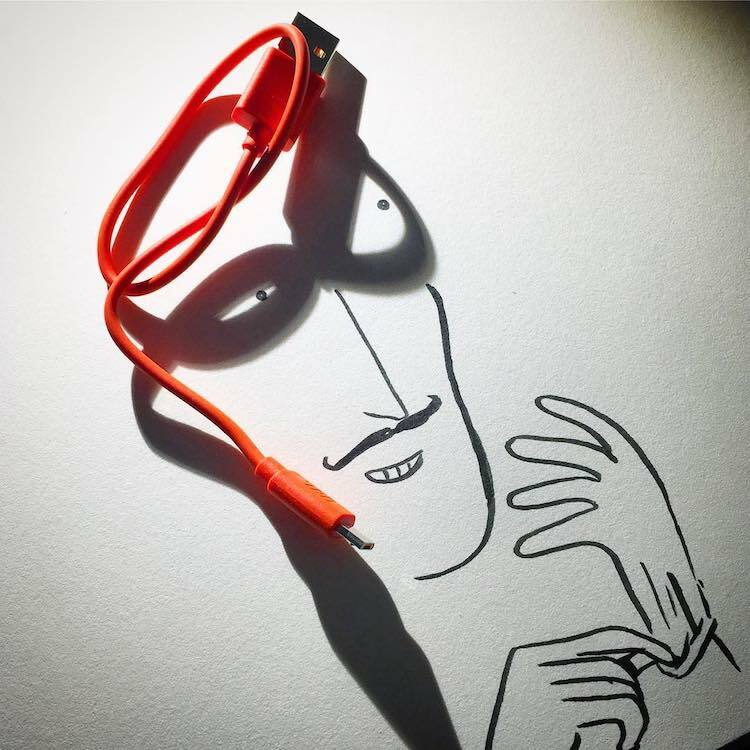 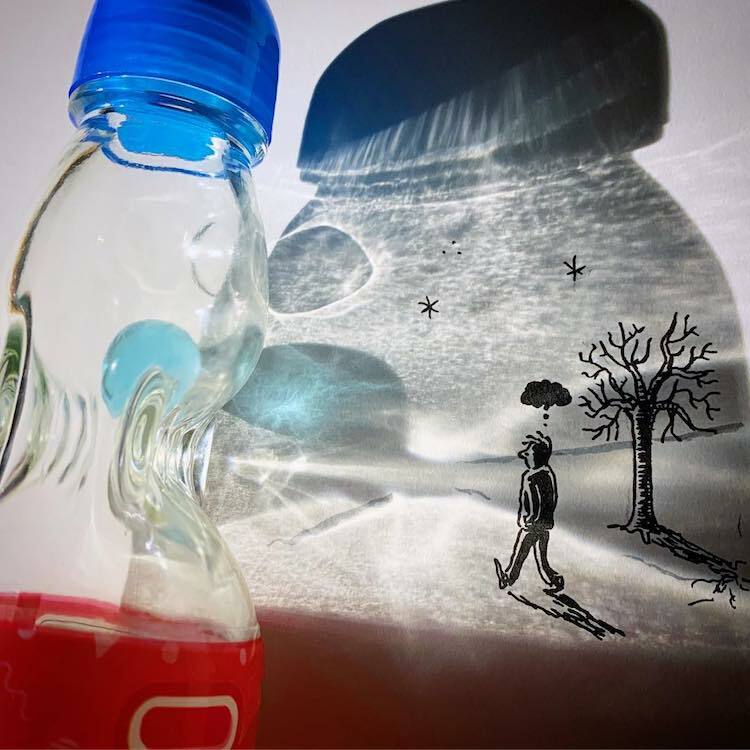 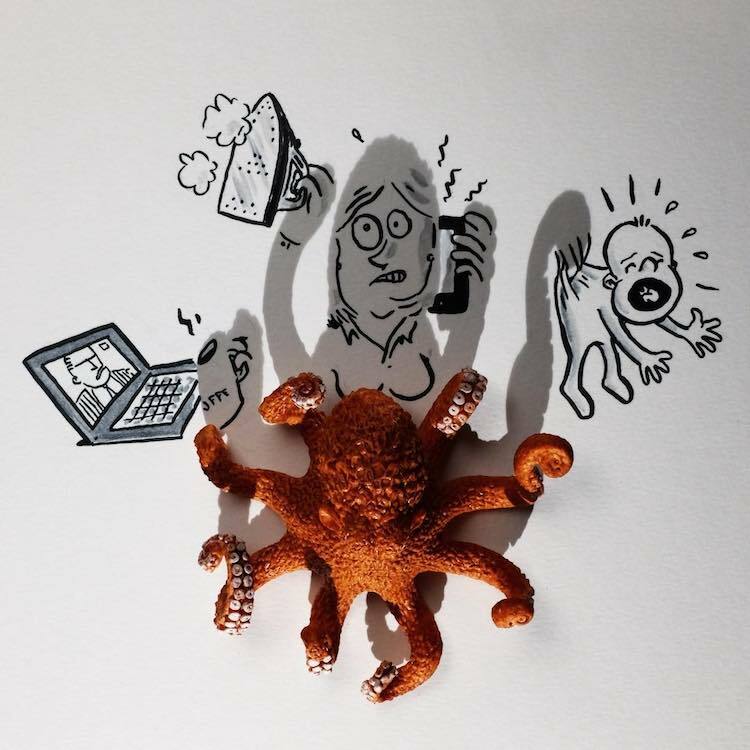 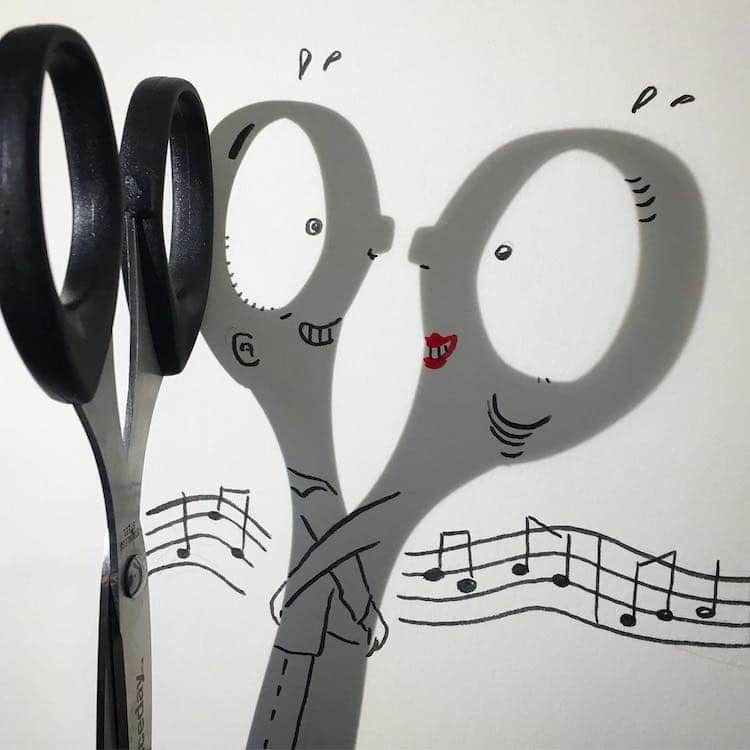 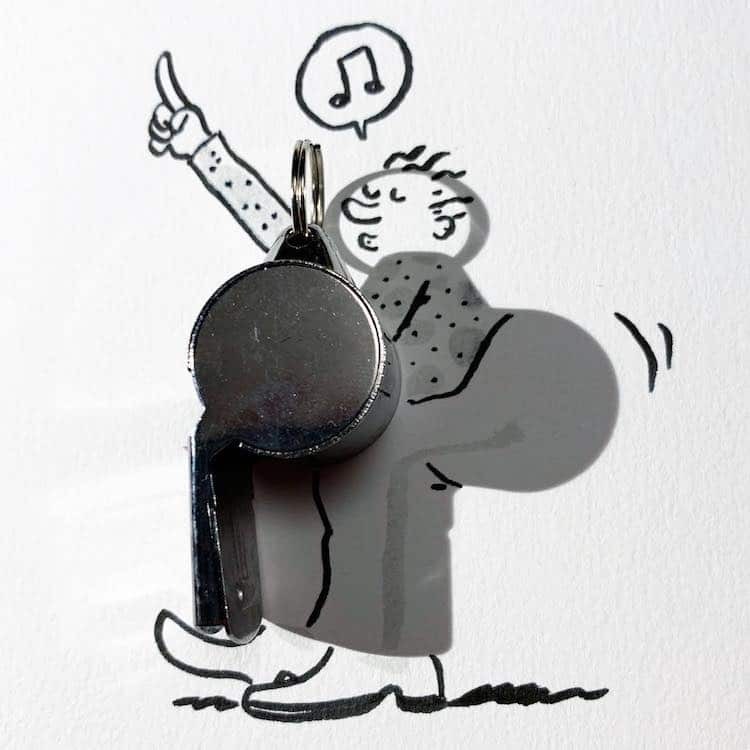 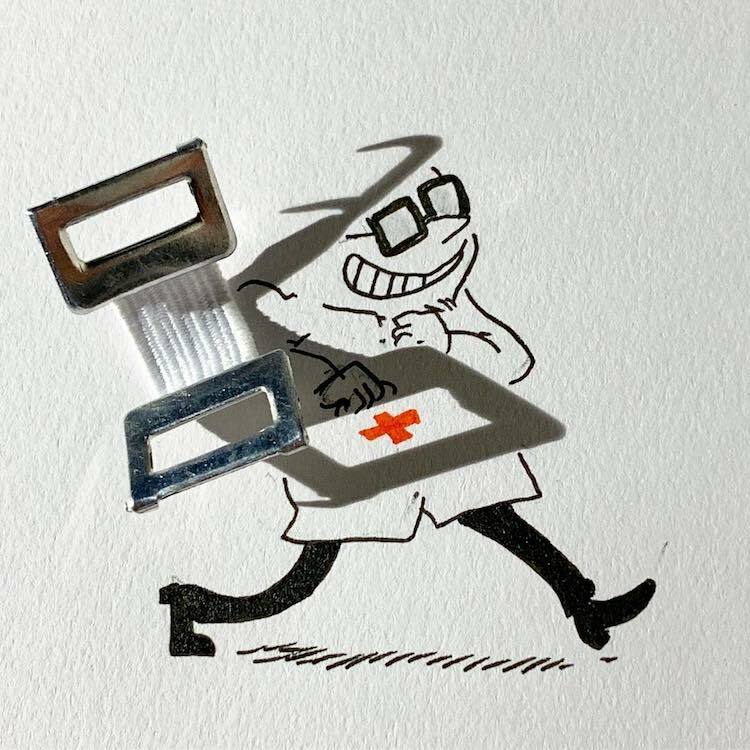 His imaginative shadow drawings are guaranteed to put a smile on your face. 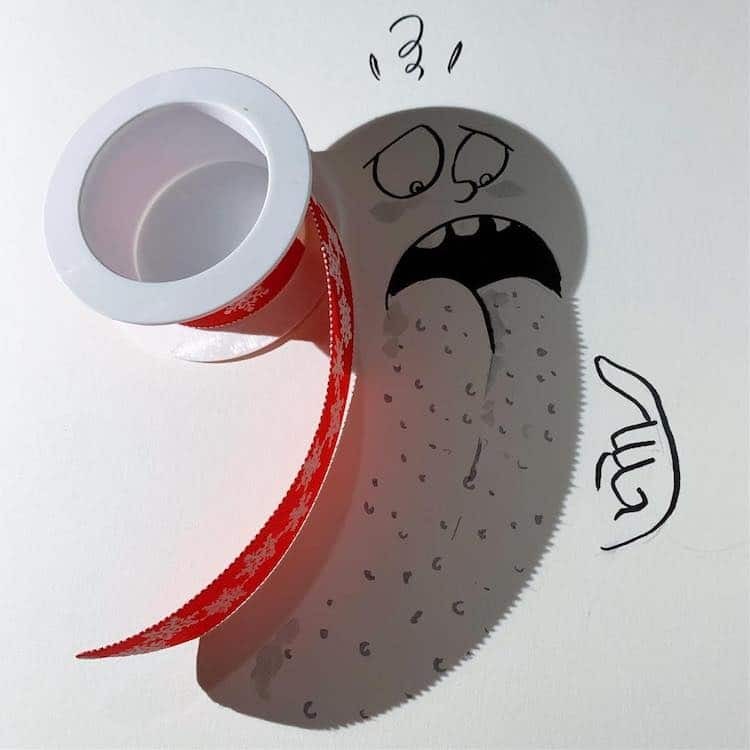 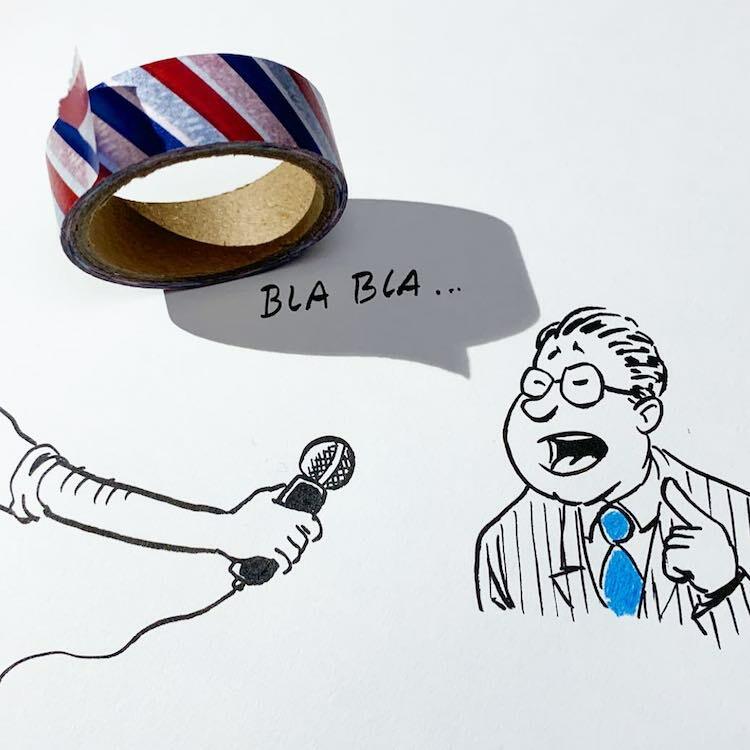 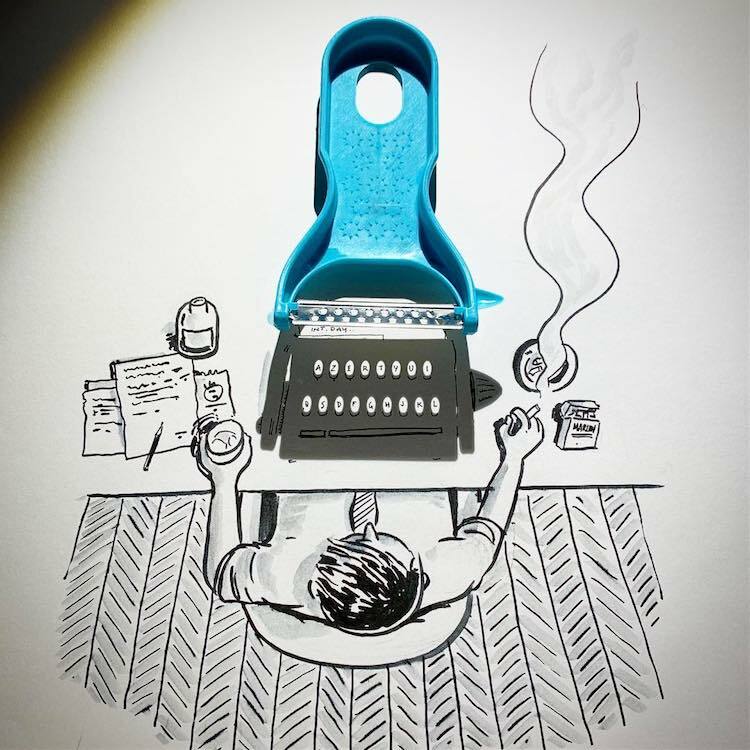 Each one reveals the surprising scenes that can be made with a simple object and clever lighting. 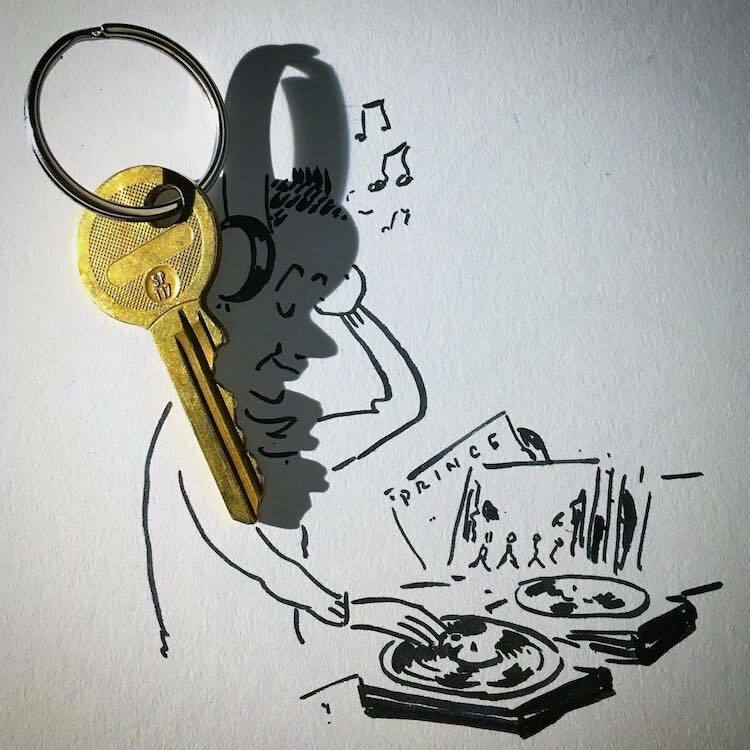 In one image, the shadow from a key is reimagined as a DJ’s headset, and in another, a pair of scissors creates the perfectly shaped cast for a cowboy mid-shoot-out. 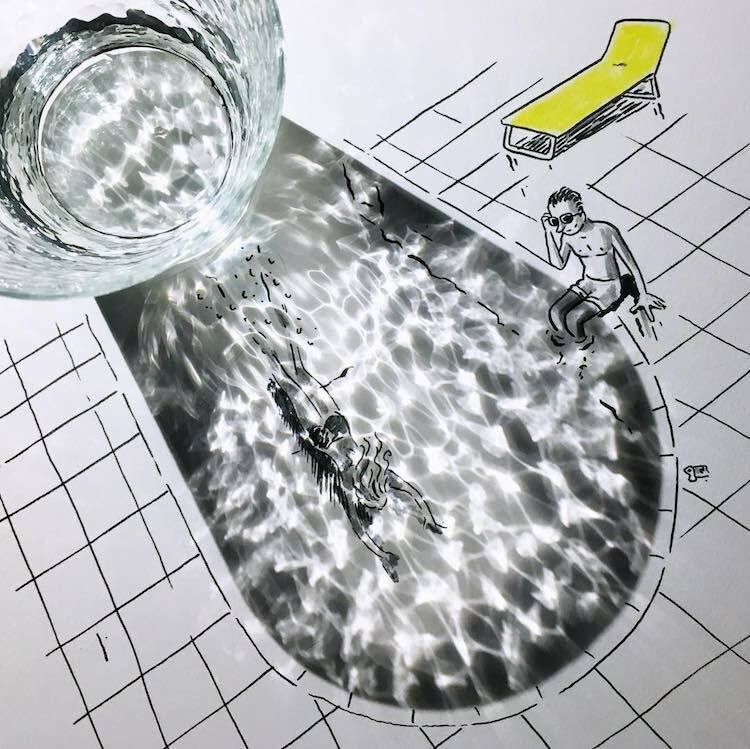 Other items, such as a textured glass, create the perfect sun-dappled texture for a backyard pool, and colored glass is brilliantly used to create brightly hued shadow casts. 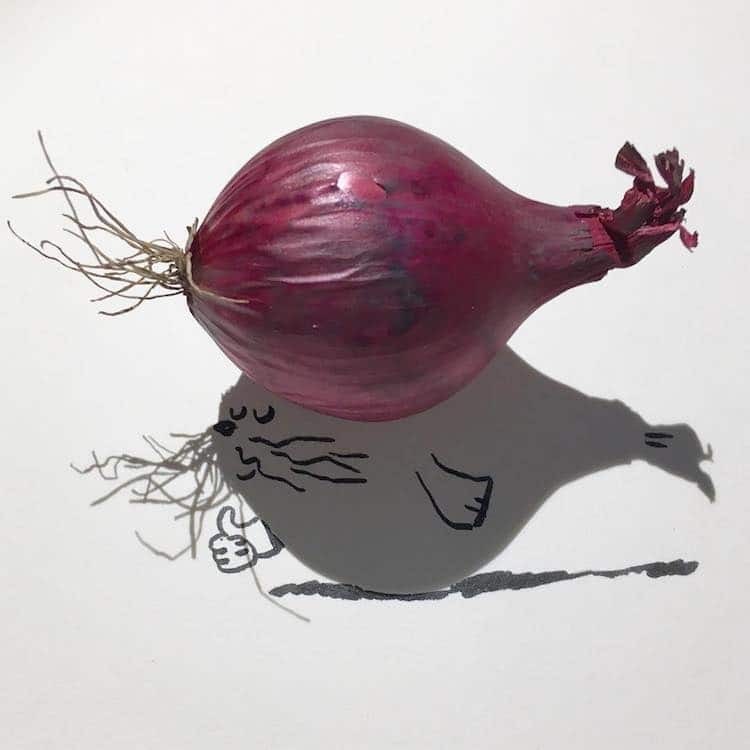 Bal is currently working on the Shadowology live-action film that incorporates his shadow drawings. 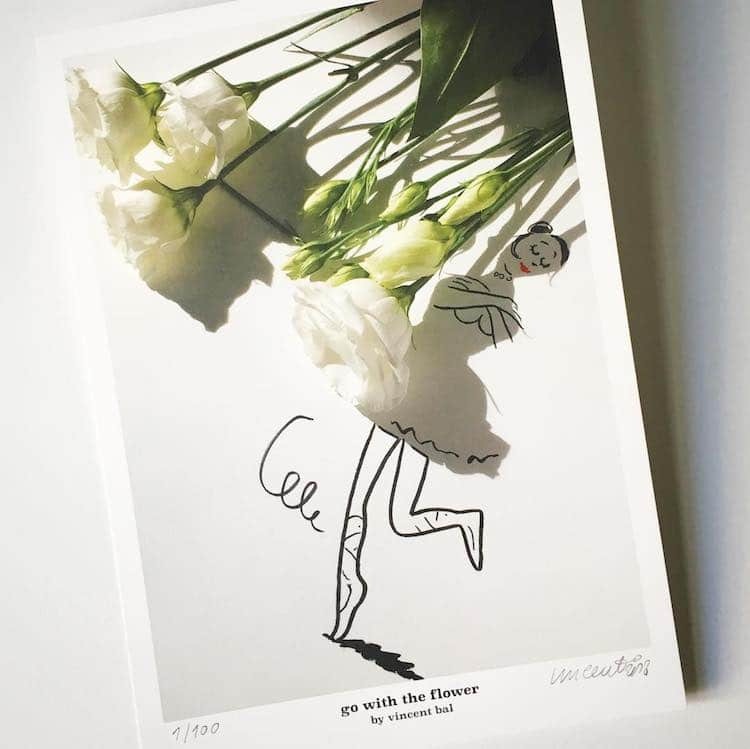 In the mean time, you can see more of his work on Instagram and purchase signed prints of his illustrations on Etsy. 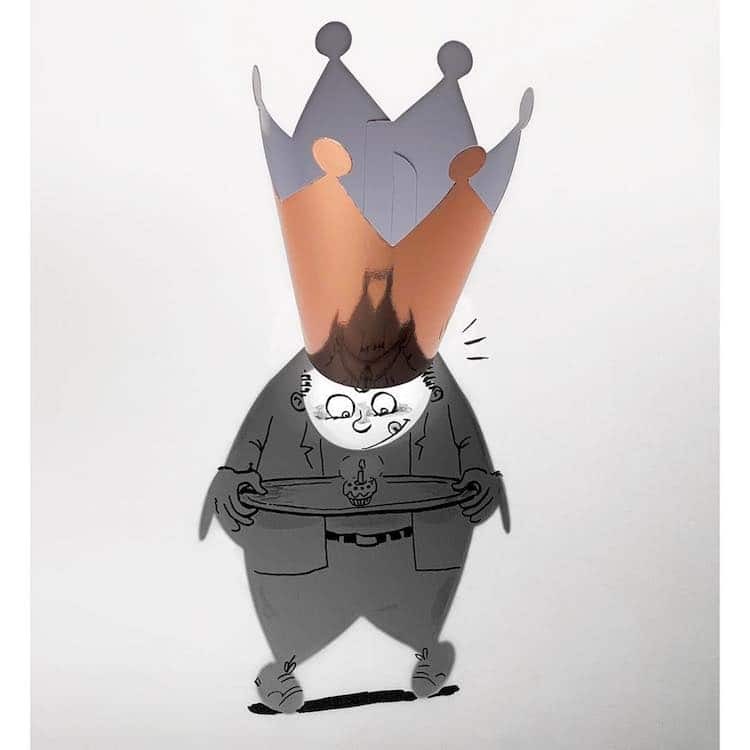 Bal also has a published book of his illustrations, now available on Amazon. 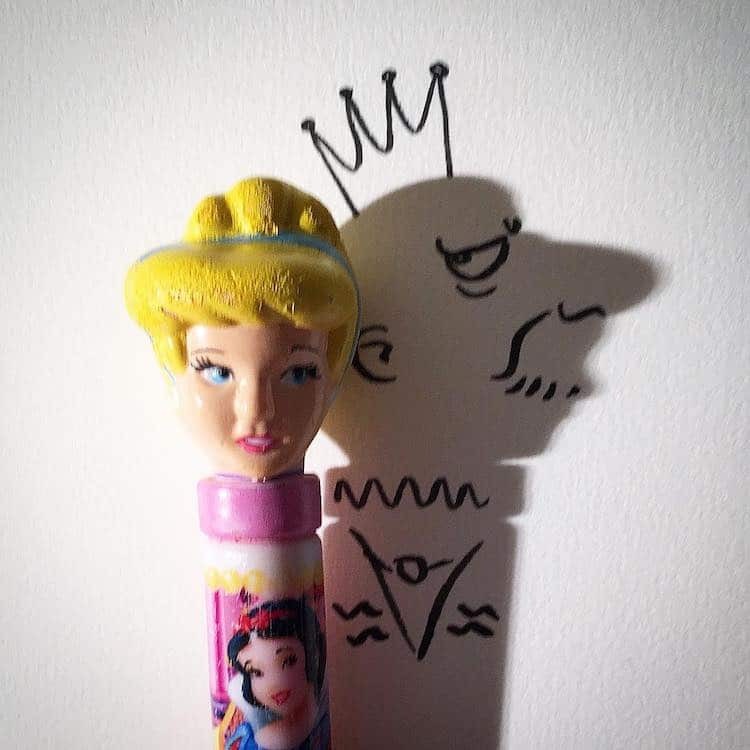 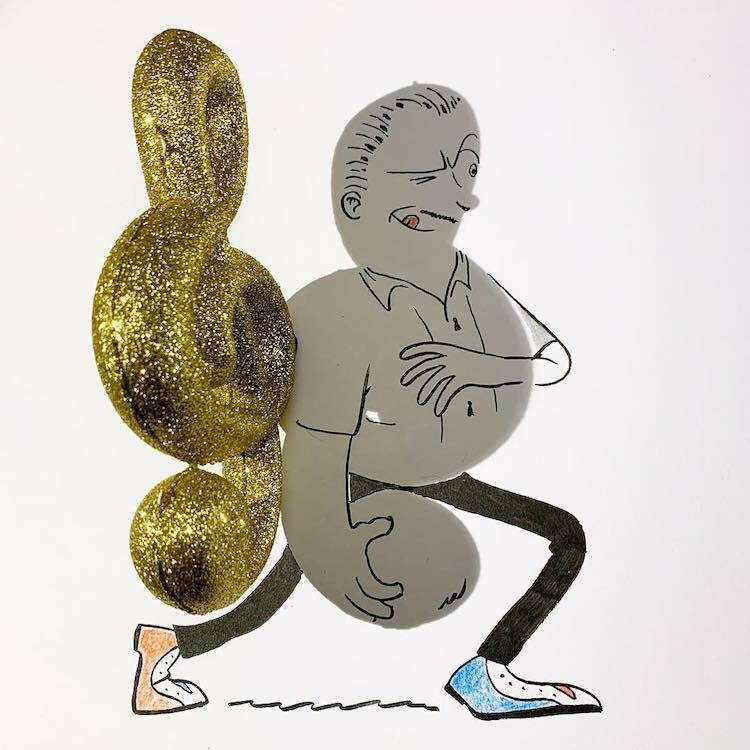 Vincent Bal playfully turns shadows into an unexpected cast of characters. 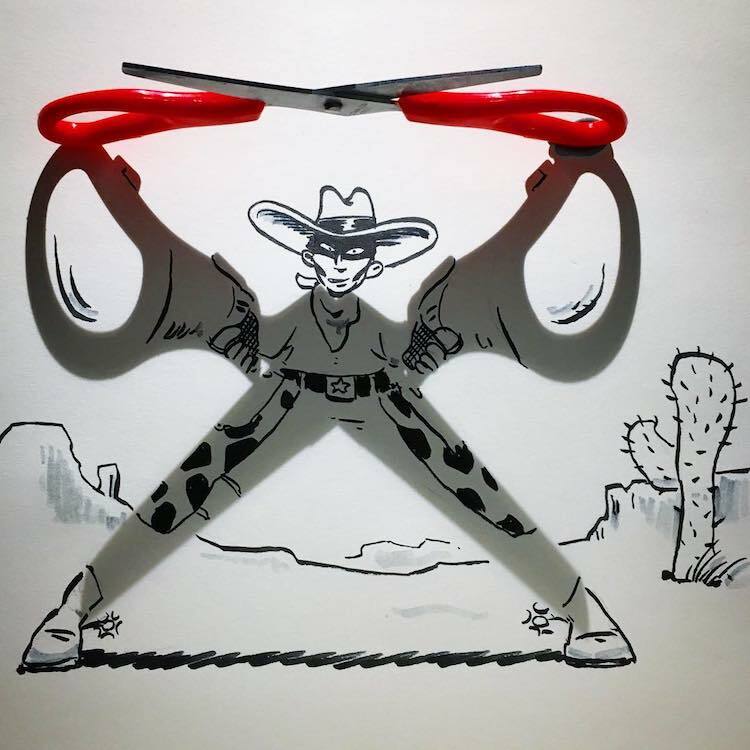 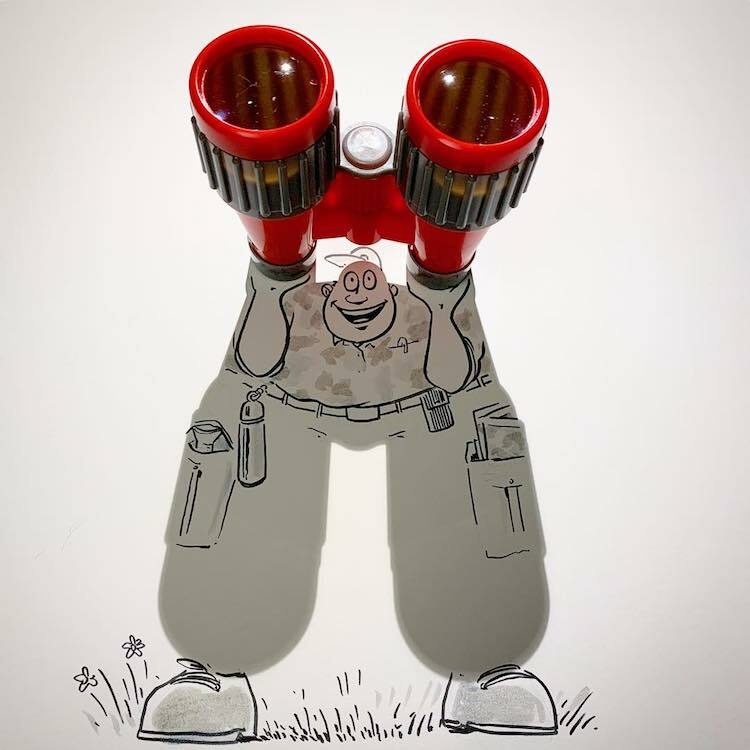 He uses everyday objects to inform key shapes and lines. 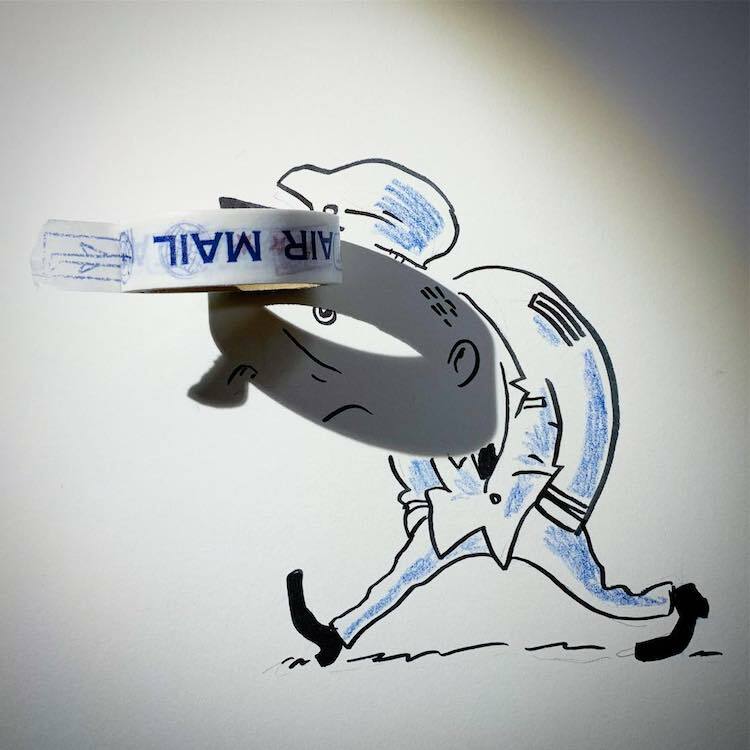 The imaginative artist then uses a pen to fill in what’s missing. 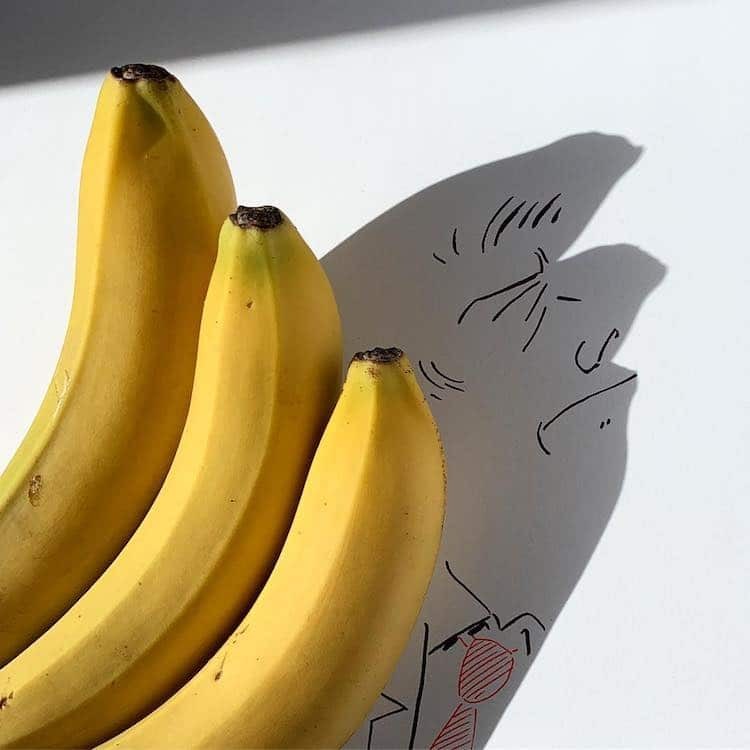 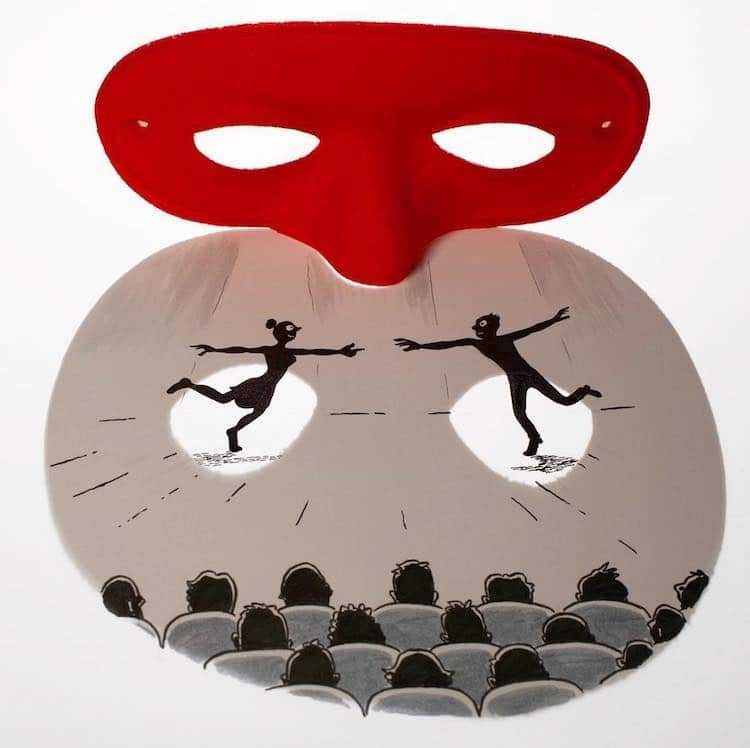 His shadow art illustrations are guaranteed to put a smile on your face. 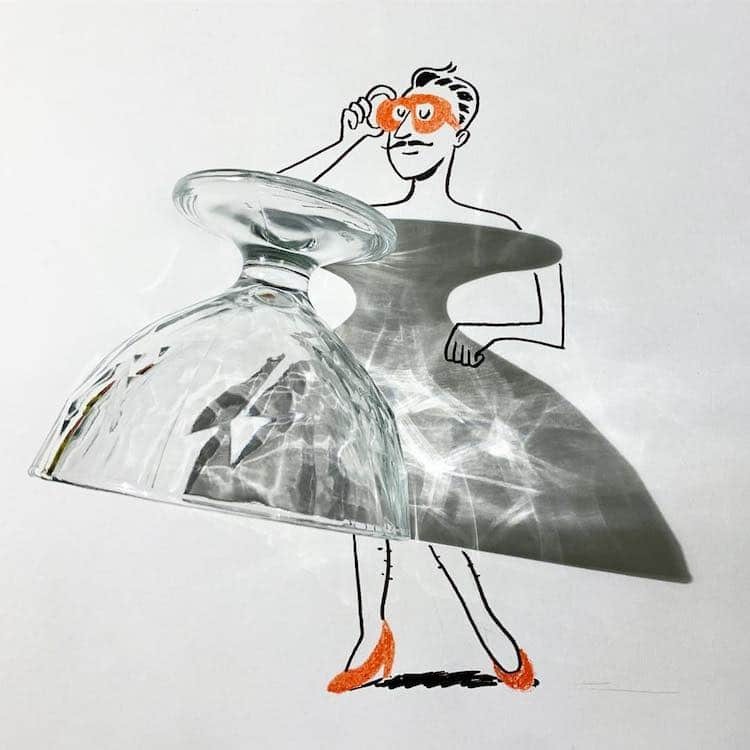 My Modern Met granted permission to use photos by Vincent Bal.